There are currently rumors about an upcoming update of the Nvidia GeForce GTX 970M and 980M with the GTX 970MX and 980MX. We have statements from multiple independent sources that have denied these plans. The website HardwareBattle.com recently published an article claiming that an update to the GeForce GTX 970M and 980M from Nvidia are in the works. These updated models are supposed to be the "GeForce GTX 970MX" and "GeForce GTX 980MX". Our investigations, on the other hand, suggest that this is not correct as confirmed by multiple independent industry insiders close to Notebookcheck. There will be no update to the existing GTX 970M or GTX 980M, but all our sources are still expecting the upcoming GPU generation ("Pascal") by the end of 2016/start of 2017. The new Polaris architecture from AMD is to be expected mid-2016, but the chances of consumer notebooks shipping with the new AMD GPU before the start of 2017 will be small. 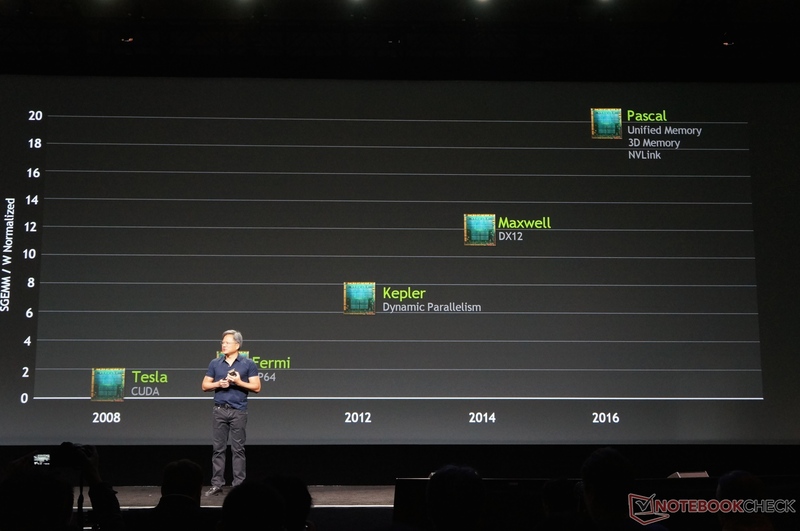 So far, there has been no reason for Nvidia to upgrade its unrivaled top chips GeForce GTX 970M and GeForce GTX 980M. And then there there is also the Geforce GTX 980, which is completely out of range for current AMD graphics solutions. The refreshed mainstream graphics cards GeForce 920MX, GeForce 930MX and GeForce 940MX were announced in the Lenovo ThinkPad notebooks at CES this year (we reported). These should be available soon and are still based on the 28 nm Maxwell architecture.